With insurance costs skyrocketing, medical companies are doing everything they can to make health care more affordable — like reducing resources needed for minor medical interactions. Technology is helping to cut costs, with telemed appointments and drug delivery services replacing traditional doctors visits and pharmacy stops. And that low-cost and easy distribution is coming to reproductive health care, too. Both men and women can now take care of personal health needs through websites called “Hims” and “Hers,” where a customer can request generic medications to treat hair loss and erectile dysfunction, or obtain hormonal birth control — all without leaving their homes. 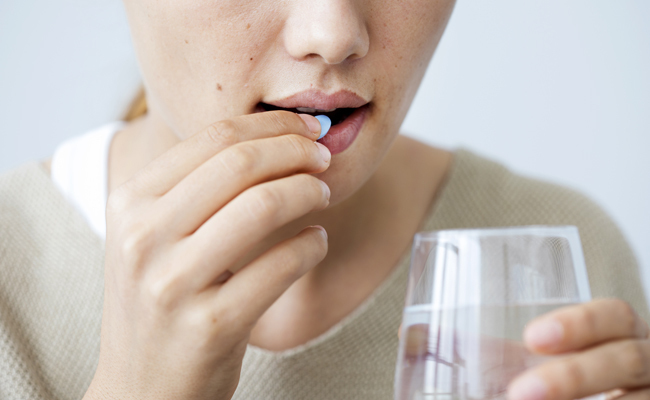 It’s incredibly simple and convenient — so why, oh why, can’t we have this service when it comes to a medication abortion? The answer is politics. Abortion is still technically legal in the United States, although it gets harder for many populations to obtain every day. Aid Access – an offshoot of Women on Waves/Women on Web, which provides medication abortion for those living in countries where abortion is illegal – is trying to address the situation by offering online consultations and prescriptions for those living in the U.S. as well. Much like Hers, Aid Access asks questions online, relays the information to a doctor and, after confirming a patient’s health history, sends medicine to terminate the pregnancy. But Aid Access isn’t the first to offer this service in the U.S. Planned Parenthood of the Heartland ran a very successful telemed abortion program for years as a pilot in Iowa. A patient could enter a clinic in one of a dozen different cities in the state, receive an examination and speak with a doctor via teleconference. Then the individual could take the first of the two medicines in office and head home to take the second and complete the abortion. Despite receiving no complaints from any patients while the program existed, the state’s far-right medical board tried to shut it down. Now many of those clinics are closed anyway, making the program far less effective. Aid Access attempts to go even further by removing the initial appointment altogether, a move that is replicated in the Hims/Hers online pharmacy business. While getting abortion medication from a clinic after an exam would generally be preferable, the simple fact is that most clinics are far away, expensive or surrounded by protesters — and some patients simply aren’t able to, or don’t wish to, leave their homes to get medication. Meanwhile, the medication itself is extremely safe for a patient in early pregnancy. If the choices are forgoing a doctor’s exam or waiting longer, obtaining less reputable medications or trying other abortion management options — then, yes, online discussions and home delivery is the best way to go. Yet abortion opponents are eager to use the FDA to shut down Aid Access. They call abortion medication delivery “dangerous,” despite a complication rate that’s less than .5 percent. But anti-abortion activists inherently know that they aren’t telling the truth. Their real concern is that with abortion available through the mail and without clinics, they lose their ability to intervene and influence a patient’s decision. In the 17 years that medication abortion has been used in the U.S., a total of 22 people have died — a minuscule fraction of the millions who have used the pills. Meanwhile, deaths from those who have used Viagra started at over 500 the first year it was on the market – and the drug is still believed to be responsible for as many as a dozen deaths a year. Keeping medication abortion under a direct doctor’s control while expanding delivery of birth control, hair growth and Viagra without this “safety precaution” is outright political hypocrisy. Thanks. Protect women's rights and take the pill, it works. I quote (and humbly correct it): "a direct doctorâs control while expanding delivery of birth control, hair growth and Viagra without this âsafety precautionâ is outright political hypocrisy." No, it's males' sexist hypocrisy. Do we really want to bring unwanted babies into the world?